When I first began blogging nearly seven years ago, it was assumed that I was writing about every minute detail – sparing none. I was asked almost daily why I would want to put our “whole life” out there for any and all to read. I have always wanted to be real and transparent, not only in this space but also in real life, but there was much I didn’t tell. I’ve never been afraid to share what’s going on in my world, and what’s on my heart. Over the years I have shared about being heartbroken over leaving 2 year-old Ben at Target all alone, the CPS visit we received after a report was filed in our neighborhood and, of course, our life-changing decision to enroll our four oldest kiddos in a public charter school, after always believing I would teach them at home. But, there are stories that were never told. What began as a love for expressing parts of our story in words became a drive to just share. To share my fears, failures and mistakes as a wife, mom, and friend, as well as my joy, triumphs, and answered prayers. I remember hoping that even just one overwhwhelmed mom or dad would happen upon From Dates to Diapers and be encouraged by a real mom who’s been there. That this one person would read my real stories and know they are not alone. From Dates to Diapers has gone through some major tranformations since it’s birth. You will find the story of our beginning. You will see us grow and change. You will understand how much I love and adore my husband and how important our marriage is. You will rejoice with us through the arrival of our fifth, sixth, AND seventh child. You will read as I process through many different feelings and emotions. You will even travel with us to some fabulous places. But, there is still more to be told. I feeel like most recently our personal and family stories have been overwhelmed with the business that grew of this blog without warning. Blogging ceased being a creative outlet for me, it no longer held it’s mysterious appeal of putting my thoughts in to words. While I never wrote a word I did not believe, I stopped writing about what was on my heart and wrote only when I felt I had to. I wrote simply to fulfill contracts and deadlines, and I lost my voice somewhere along the way. I sorely miss expressing myself in words. I’m ready to tell you my stories. I am ready to take back my blog. Will you join me on my continued journey as a woman, wife, mother, and friend? P.S. I do have a few prior commitments, so you will see some sponsored posts over the next few weeks, in addition to my Walmart Moms posts, as I fulfill my obligations. Thank you, from the bottom of my heart, for being so supportive in either case! Anyways, looking forward to hearing more from you!!! You express yourself beautifully, Lori! I know you are very selective, as I’ve been… Just hoping to not lose sight of WHY I write, ya know? Good for you, girl! I can’t wait to hear what you have to share! I was wondering why you didn’t write more about yourself and family… I was a little concerned that you mostly wrote about products and travels and stuff related to making money. Sometimes we have to decide what things are more important than others… what things take priority…. I’m praying for you as you allow the Lord to lead you in days ahead! I lost sight of my vision and just grew tired of writing for other people. There will still be compensated posts, mainly because there are products and companies I truly love and enjoy working with. I am just ready to write again because I love to write! I have always written the truth and what is really going on… I have just left a whole lot out and I’m looking forward to sharing! Looking forward to those stories!! I think that’s it, Erica… I sincerely miss the connection I once had in the blogosphere. I know I’m partly to blame and I’m ready to make a change! I will stay tuned and look forward to it! I’m also taking back the blog. While I still need to make an income on blog related stuff I’m determined to bring it back to a more personal level. I feel you!! Blogging has changed a lot for me as well. Take back you blog, my friend! 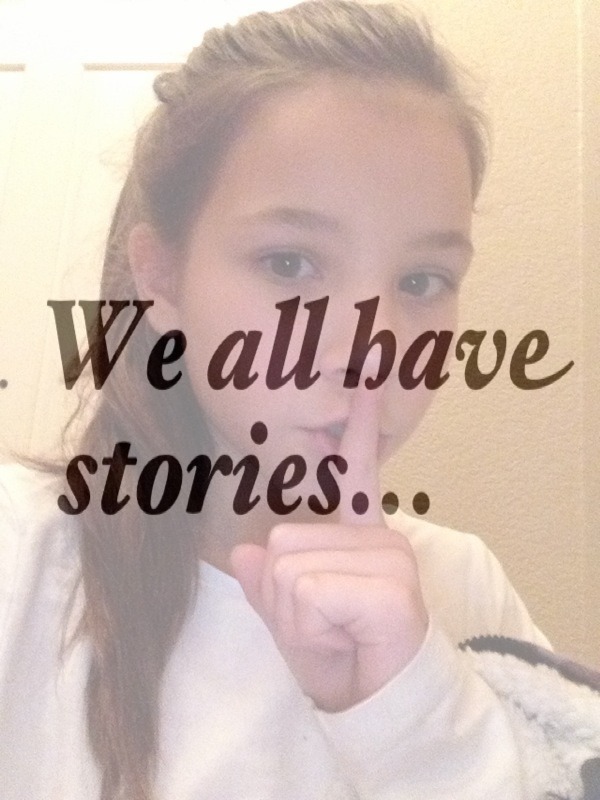 I look forward to reading your stories! That is awesome. When blogging ceases to be fun, then it’s time to reassess. I have actually taken the opposite approach, lol. as my kids are getting bigger, I feel that I have to be less personal. But I am definitely trying to pick and choose the sponsored opportunities carefully and post about what I really want to and not about what is sent to me by brands. It’s a constant balancing act, isn’t it?? I am very excited for you!! Jo-Lynne, I hear you about changing as our kids get older. As my girls grow older and with my divorce, I’ve had to be less personal. Our site 5 Minutes for Mom has changed so much since our early days, but I’m okay with that. Ours was always different from a traditional mom blog in that it was meant to feature many writers. I totally understand your decision Christine and I’ll always love and support your blog… and you know I always love hearing about your fabulous family! So happy to hear this – we all can use a break once in a while. Looking forward to hearing more from you my love. Welcome back! 🙂 I think that many of us go through this cycle on our blogs and it seems like we all come back to the same place – wanting to write for US. I hope you find the balance that works for you and thank you for doing what you’ve always done, lighting the way as a leader in this space! Can’t wait to see where your journey takes you! I understand this so well. SO WELL. It is hard to balance what is on your heart with what you have ‘agreed’ to tackle in this forum – regardless of how authentically that work matches you and your family. I often have to step back and reclaim my territory. I’m looking forward to hearing your stories again. Glad you are back and looking forward to reading your stories!